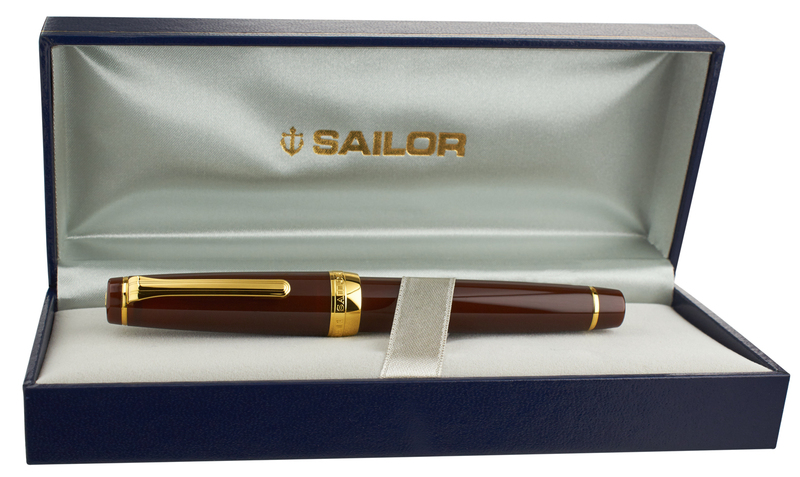 A follow up to the Pro Gear Sky, the Sailor Pro Gear Earth Special Edition fountain pen exemplifies the design and attention to detail for which Sailor is known. 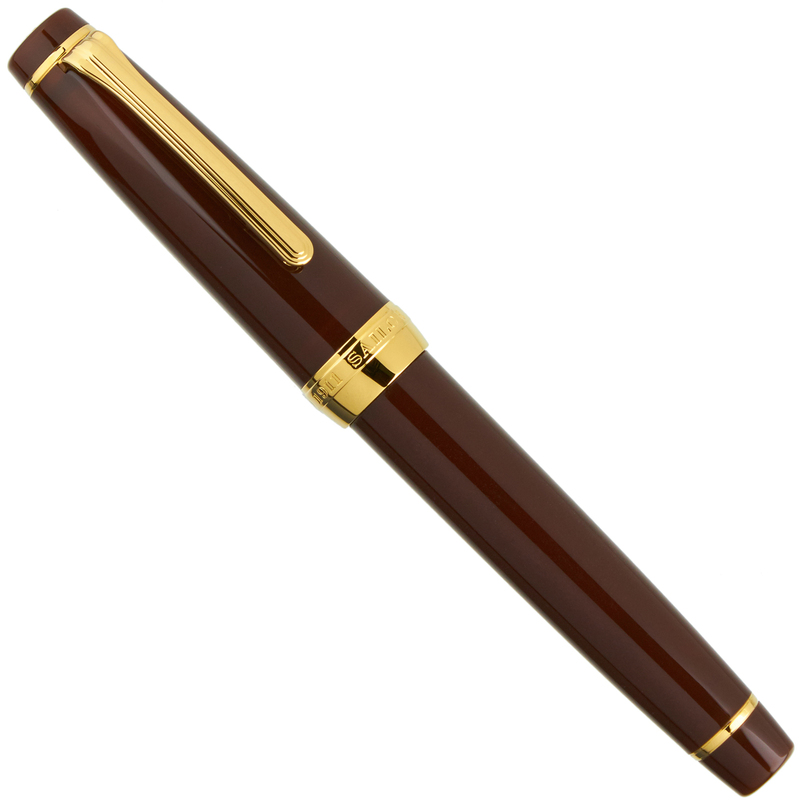 Bold in its form and rich in its warm hues, this semi-translucent writing instrument is sure to become a favorite. The Pro Gear is Sailor's full-sized, flat-ended pen - this pen will be a comfortable fit in the hand for most users. Those looking for either larger or smaller versions of the same design can also consider the King of Pen Pro Gear Earth or the Pro Gear Slim Earth. The Pro Gear Earth utilizes a convenient cartridge-converter filling system - the pen can be filled with any bottled fountain pen ink using the provided converter, and can also use Sailor brand cartridges. 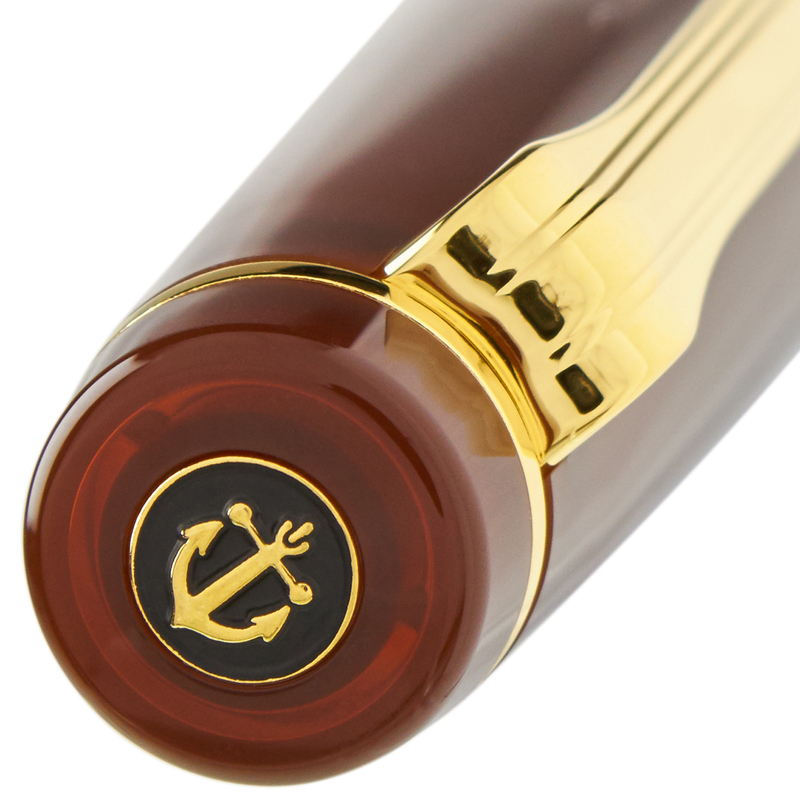 A classic Sailor anchor emblem adorns the flat end cap. Sailor has a company history stretching back to 1911, and a reputation for quality and value that few other pen manufacturers can match. 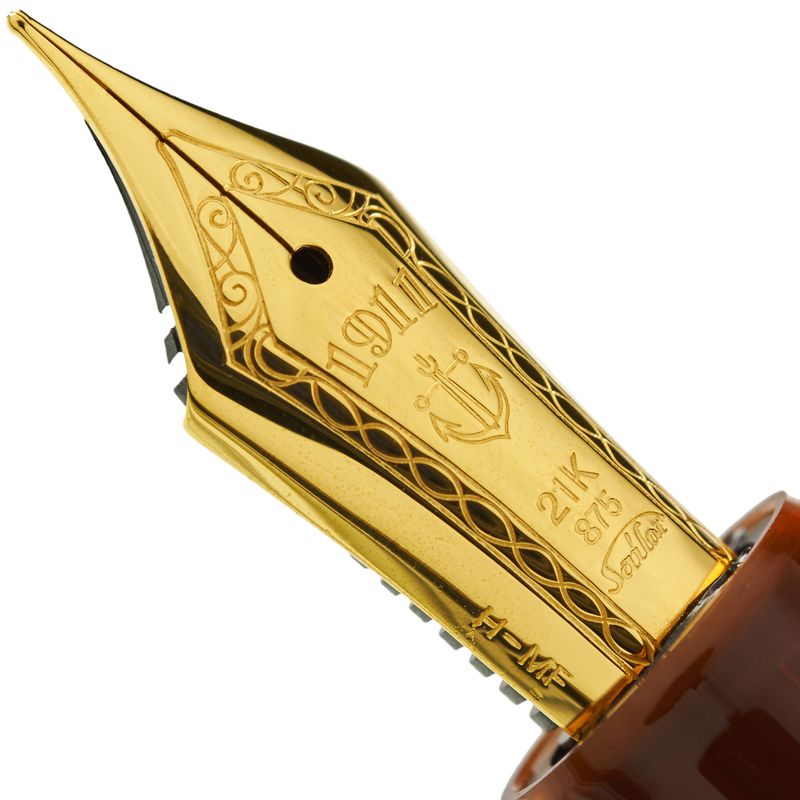 Sailor 21k nibs are renowned for their smooth writing characteristics and are well-suited to our customizations including Stub, Cursive Italic, or Left Oblique. Each Sailor Pro Gear Earth Special Edition arrives in a satin-lined presentation box with converter and a starter ink cartridge. Unless requested otherwise, each pen or nib you purchase from us will be carefully examined, tested, and optimized for your personal writing characteristics before it ships.